Rapunzel and Flynn Rider Eugene Fitzherbert are OFFICIALLY back — but not in the way you think. While it was previously announced that Tangled would be returning as a TV series, Tangled: The Series, we now have the trailer for the Disney Channel Original Movie that will kick off the new show. 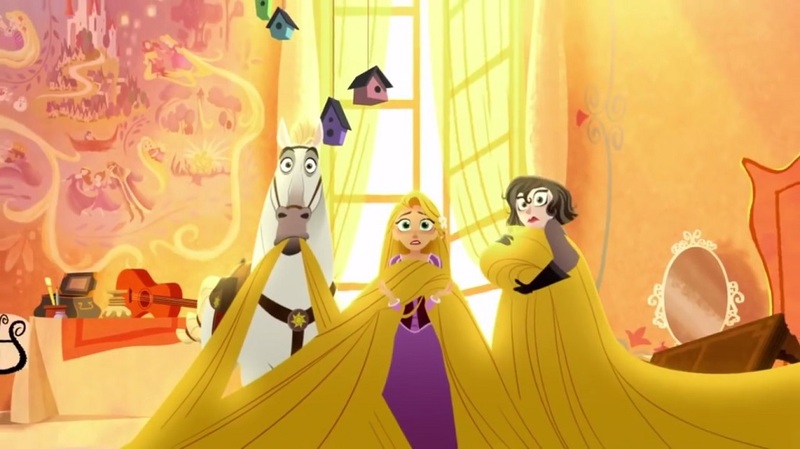 Tangled: Before Ever After marks the FIRST time an animated DCOM has ever kicked off a TV series on the network and we are SO excited. 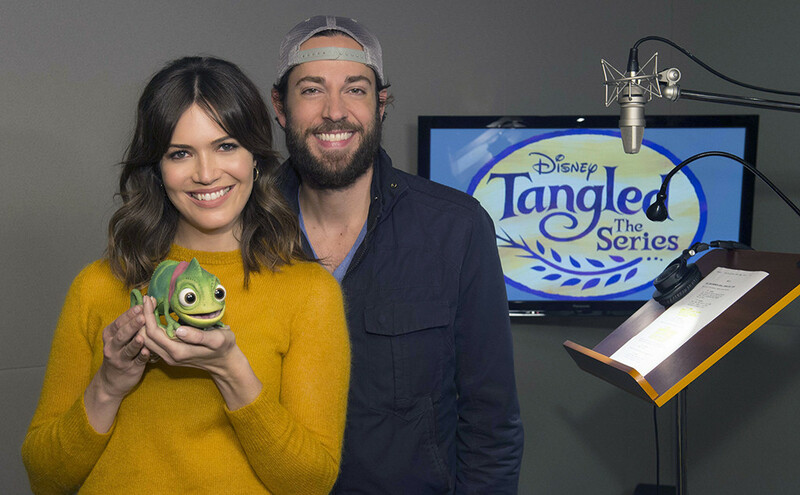 Returning to voice Rapunzel and Eugene are Mandy Moore and Zachary Levi! So you’ll notice that there are a few changes to the Tangled we all know and love. The animation is a little different, so the characters look a little more like traditional animation a la Kim Possible as opposed to Frozen. The DCOM takes place after the events of Tangled, but before the short Tangled Ever After, which premiered in theaters in 2012. From what it looks like, Rapunzel’s hair becomes suddenly long and golden again, which is a surprise for everyone, especially her. The DCOM looks like a fun action-packed adventure we cannot wait to see! In addition to Moore and Levi, Eden Espinosa joins the cast as Cassandra, a handmaiden who befriends Rapunzel. Also returning along with our beloved Disney couple are Maximus and Pascal, everyone’s favorite sidekicks. The film is set to air in March with the series to begin airing sometime after. We can’t wait to see what kinds of shenanigans Rapunzel and co. get up to this time around!